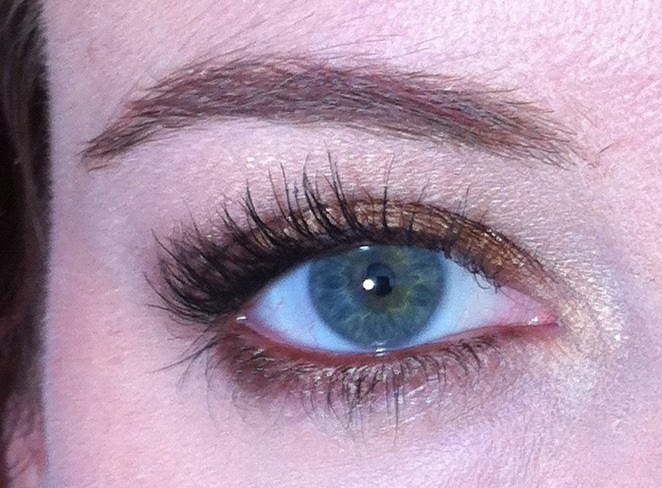 I thought I'd show you my right eye for today's eye of the day post. I usually show the left because I like the shape of my left brow better. I wish they were more symmetrical, but they are sisters, not twins. 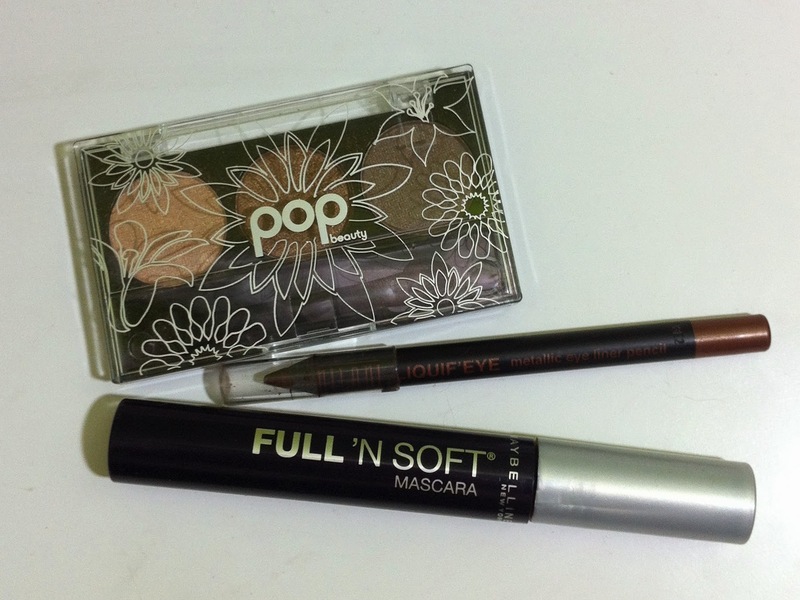 I received the pop beauty Bright Up Your Life eyeshadow trio in Naturally Bare in an Ipsy bag a few months ago. I'm not sure the name "Naturally Bare" is totally appropriate for this trio, because all of the shades have quite a bit of shimmer. 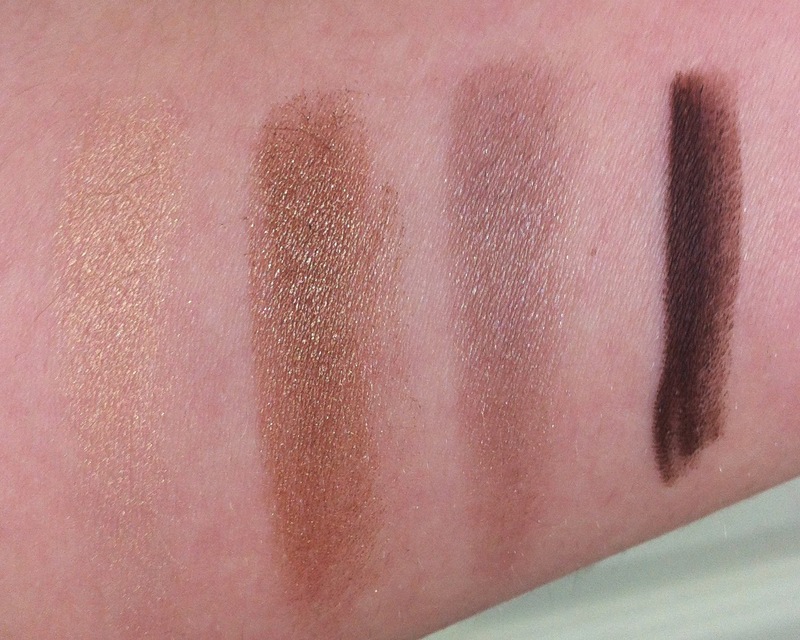 As you can see from the swatches, the shadows aren't particularly pigmented. Especially the taupe shade. Man is it sheer. 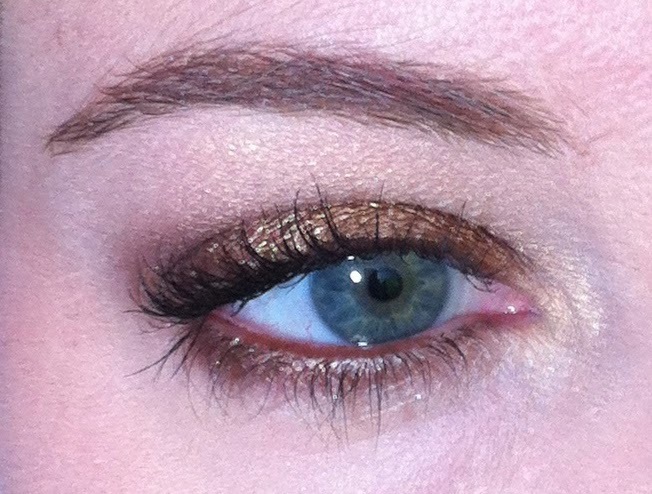 The bronze shadow actually ends up looking alright on the lid, and the light gold gives some nice shimmer. I'm not sure I like the brown pencil on the waterline. I think it make have a little too much red in it. Ah well. 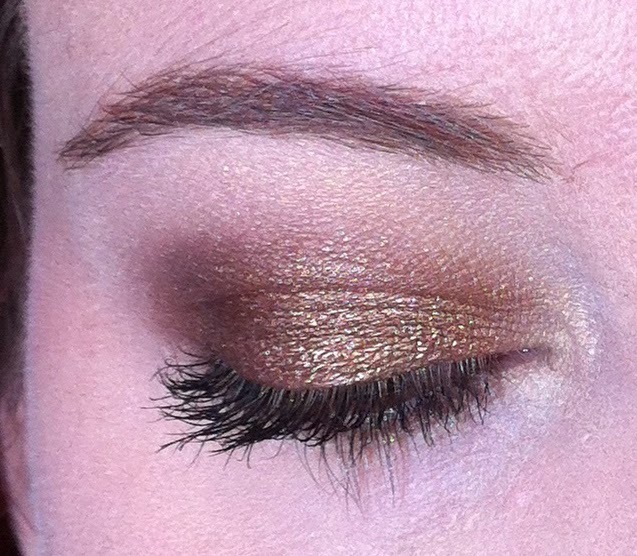 That taupe shadow kind of annoys me, but I find the other two workable, and think the bronze is really rather pretty.